and she keenly missed the water view. My mother has that. 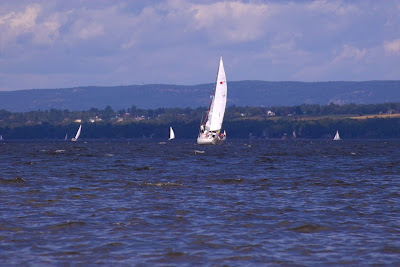 sailboats from the local yacht club racing . Have a sailing for home day. What a lovely view! No wonder she's such an avid gardener too! but it's a beautiful spot.